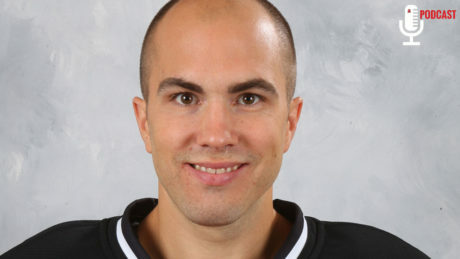 The New Jersey Devils today acquired forward Marc Savard and Florida’s second-round pick in the 2018 NHL Draft in exchange for forwards Graham Black and Paul Thompson. Paul Thompson had two big goals during Game 7. He spoke with reporters after the game. 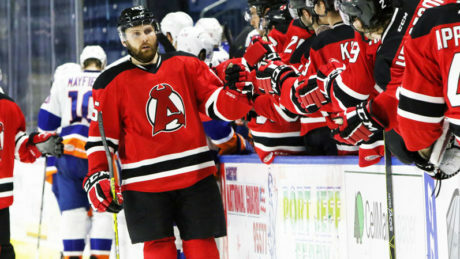 The Devils now find themselves in a must-win situation after losing to the Marlies, 5-1, during Game 5. 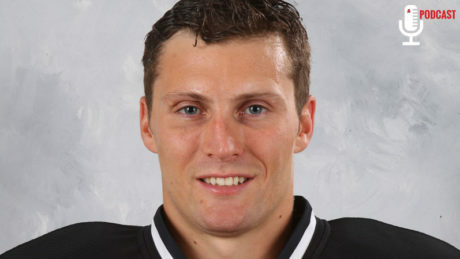 Just last week Head Coach Rick Kowalsky classified Paul Thompson as out indefinitely with an upper-body injury. 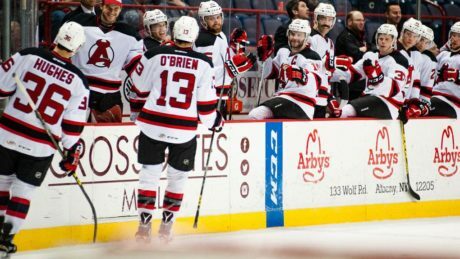 A good sign for the Devils is the team’s leading scorer form last years has resumed skating with the team Tuesday. Paul Thompson missed Saturday’s game and is out indefinitely according to Head Coach Rick Kowalsky. 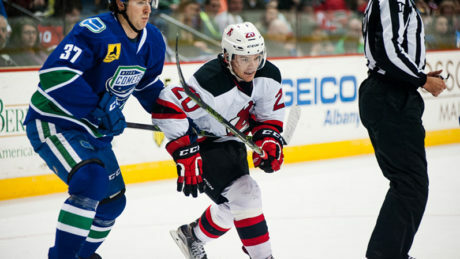 The Devils extended their point streak to eight games with a 4-1 win at Bridgeport. 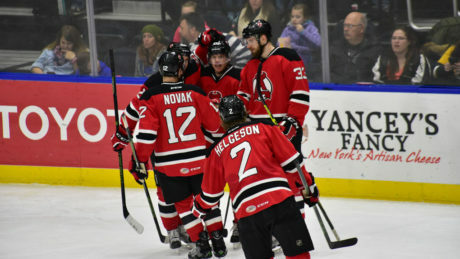 The Devils pushed their winning streak to five games with a 5-2 victory against the Sound Tigers Sunday at Webster Bank Arena. 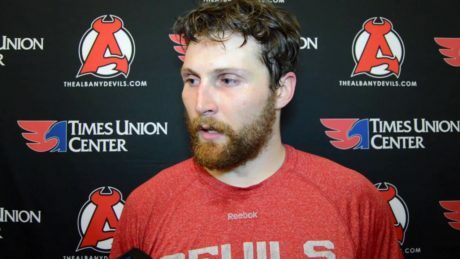 Before making his trip to the 2016 AHL All-Star Classic, Yann danis was a guest on the A-Devils Podcast. 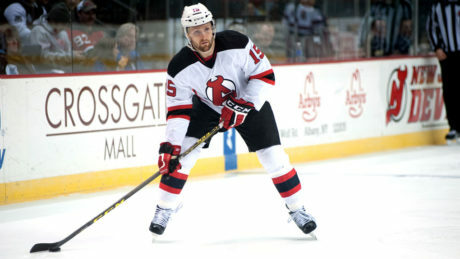 After making his NHL debut with the New Jersey Devils, Paul Thompson is this weeks guest on the A-Devils Podcast.